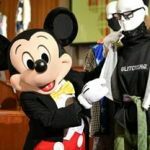 The Walt Disney Company (“Disney”) in Hong Kong partnered with the Savannah College of Art and Design (SCAD) Hong Kong on a sponsored design project to commemorate the 90th anniversary celebration of Mickey Mouse. The project was aimed at fostering emerging design talent and encouraging creative careers through SCAD’s unique SCADpro program. SCADpro, the university’s innovation studio, is a design shop that combines the brainpower of talented students, alumni and professors to produce creative concepts for the world’s most influential brands—in this case how to celebrate Mickey’s 90th anniversary. A total of 27 SCAD students from a range of disciplines were selected to participate in a ten-week custom SCADpro course. SCAD students were tasked with researching, designing, creating and presenting an athleisure and streetwear fashion collection inspired by Disney’s most iconic character and global ambassador, Mickey Mouse. The resulting sixteen looks were produced from a design concept focused on Mickey’s journey through time (“Past, Present and Future”) while reflecting the global significance of streetwear, currently the fastest growing category in the fashion industry. Receiving one-on-one mentorship from Disney’s creative team and the support of SCAD faculty, students created a final design concept paying tribute to Mickey through the ages, from his first appearance in Steamboat Willie on November 18, 1928 to his present-day persona. 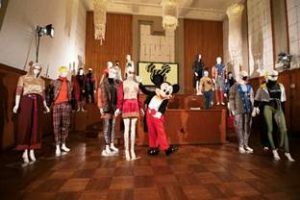 The outstanding Mickey collection created for millennials, by millennials also drew inspiration from the streets of Hong Kong. Sustainability played a pivotal role in the collection. Recyclable fibers donated by HKRITA (The Hong Kong Research Institute of Textiles and Apparel) and upcycled Levi’sâ jeans was central to several looks in the collection. Students presented the final pieces in an interactive showcase to key Disney executives and guests. “We were privileged to collaborate with The Walt Disney Company for Mickey Mouse’s 90th celebration. Through the SCADpro course work and high-level mentorship, SCAD Hong Kong students have gained real-world experience and can be extremely proud of the outstanding level of work produced,” said Mr. Jaime Tapias, director of SCADpro, SCAD Hong Kong. “By envisioning the spirit of Mickey Mouse taking to the dynamic streets of Hong Kong, I was able to create a unique embodiment of his character through playing with silhouettes, layers and fabrics. 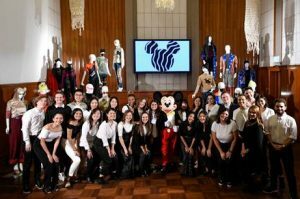 It has been a very exciting journey and an honor to work together with my peers, The Walt Disney Company’s Creative team and the SCAD faculty to create a tribute collection fitting to the legend which is Mickey Mouse,” said SCAD Hong Kong fashion student, Sharon Law.